Pen and Paper: WHO CAN CARE FOR ME NOW? WHO CAN CARE FOR ME NOW? by ELIZABETH ORR. Elizabeth Orr is the first to admit that she had no knowledge of the realities of caring for someone desperately ill in the UK. That was until she found her brother, Norman, collapsed on the bathroom floor. Overnight, Elizabeth was catapulted into the medical and care worlds as she battled to support her brother. The learning curve was vertical, as Elizabeth struggled with the litany of paperwork, red tape, finance issues, and working with myriad NHS departments and resources required to keep her brother alive. Who Can Care For Me Now? charts Elizabeth and Norman's emotional journey through this complex care system — in hospital, at a neurological nursing home, and receiving care at home — from his initial collapse to his untimely death, just twenty months later. Whilst visiting Norman one day at the neurological nursing home, I met a very warm and understanding man called Malcolm who asked me about Norman and listened intently to our story. It was just a shame, yet again, that this visit took place approximately ten months after discharge instead of one month after discharge - and I had to ask myself; "Do they not use this knowledge in the nursing home?" Sadly, however this did not seem to be the way of things. So much knowledge is out there but it is extremely difficult to access it in a timely manner, before it is too late. SOURCE ... Received with thanks from Faye of Authoright. MY THOUGHTS ... One of several books from the Clink Street stable that I have read/reviewed recently. I have to say I'm seriously impressed by the diverse selection of titles they have to offer. 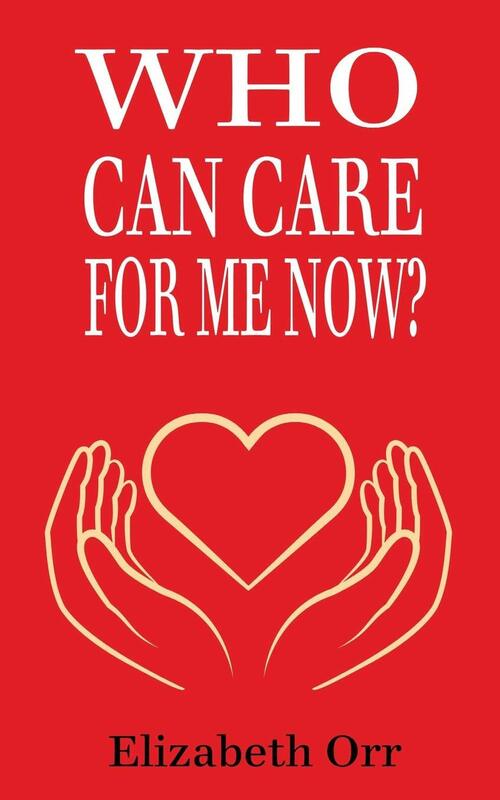 I admit to finding Who Can Care For Me Now? difficult to read/review for a number of different reasons, not least of which was the emotive contents. The fact that I have now seen two close relatives go through the whole prolonged hospital stay - care/nursing home system and all that this entails meaning that I could relate to/empathise with some of the author's struggles. What I felt to be a very brave account of one family's experiences - extremely emotive, I'd urge anyone reading it to remember that it is just one account; that not everyone will have had these particular experiences - and one I should imagine it was very cathartic to write. The love Elizabeth so obviously has for her big brother shines through and on that level makes this a wonderfully moving read. Hers and Norman's story a valuable account of just some of the hoops the disabled/elderly and their carers may have to jump through and the emotions at play making it a great resource for all those within the caring profession. The 'If Only I Had Known' section at the back of the book providing some useful and practical information on things such as Lasting Power of Attorney and NHS Continuing Healthcare for the layperson. Yeah, sometimes that personal connection to a title can make or break a read. Sounds like it was a moving work and I'm sure others will be grateful for the perspective. At my age, with aging . family this would be a hard one and I know from seeing . my own parents deal with this for their parents how difficult it is. Great review! I watched my mom take care of her own mom for years and trying to work through health and health law issues and then my dad and his sisters for his mom. The emotional impact of this story would hit hard, but it is also neat that there are helpful notes in the back. I too have been through exactly this scenario with both my own parents and my father-in-law and know exactly where Elizabeth is coming from in the telling of her story and the lessons she had to learn the hard way. Unfortunately, when a family member is taken either mentally or physically ill, caring is almost forced to take a back seat to the health service protocol, legal and paperwork issues which are thrust upon the unprepared relative. From personal and bitter experience, and having no family of our own, I really want hubbie and I to prepare the ground for whatever the future may throw at us, so that either one of us can spend quality time and care upon the one of us who is ill.
Not a book I would choose to read, but probably good groundwork for someone who has yet to find themselves at the mercy of the NHS red tape brigade! Obviously not one for me since I'm in the US, though some of its pointers might work in general and not just for services in the UK. Still... I think I would find it an emotionally depressing book. I never had to deal with aging parents since both of mine died when I was a child/teen, but my MIL had Alzheimer's for almost the last decade of her life and I saw the toll it took on my husband and his siblings. Then again, my husband and I are approaching the age we have to start thinking about all this for ourselves! This is a profoundly important issue. As has been reported, we have horrendous issues work Healthcare Coverage here in America. Navigating the system is so challenging that if things go wrong, it could be a matter of early death. Oh this looks good! I feel like I might cry when reading it though lol. I think I'd find this interesting as I'm going through some of this with my mother, but as she's now safely in a home a great deal of the pressure is now off my shoulders. This sounds like a poignant book. Wonderful review, Tracy! was difficult for you to read/review. This sounds like a book many can relate to in one way or another. I remember when my mother and her brothers were going through something like this with their mother. I imagine it will be something I will deal with in my future as well with my mom or in-laws. Maybe even my husband. Thank you for sharing. Sounds intense and I knew of a person or two who could use the help at the end of the book. The medical world can be tough to navigate. Sounds like a moving story! I hadn't heard of it before. Thanks for sharing it with us. This would be a very emotional book for me. We had to take my dad through the process of an extended hospital stay to long term care and eventually an adult living facility for those with dementia. There are so many things you have to watch out for in the industry. leagl issues and then of course the traumatic changes in his life. I'm glad books like this are out there thought to help people wade through the process.